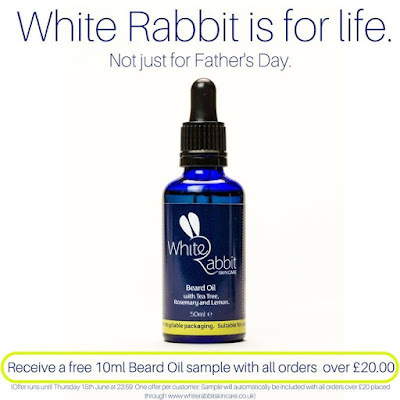 The Vegan Magpie: White Rabbit skincare offers! Hello! Here's a post about an offer that ISN'T FOOD! I think it might be my first! 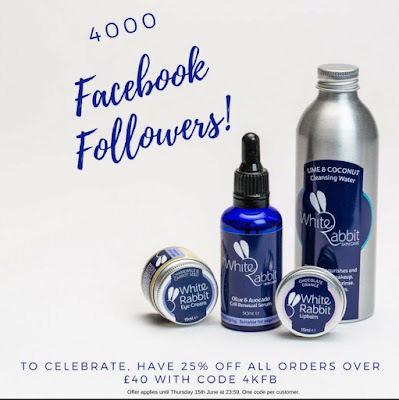 The fantastic vegan skincare range White Rabbit skincare have reached a lovely 4000 followers on Facebook, so they have decided to run an offer to celebrate! You can currently get 25% off when you spend £40 with a code. This is until 15th June. Just go here: https://whiterabbitskincare.co.uk/collections/all put what you wish in your basket and when you checkout, use the code 4KFB in the 'apply code' section. Shipping does apply, however it is pretty reasonable! 0.79p for lip balms and sample packs, £2.90 for second class over 100g (more options available, these are the cheapest). ALSO! 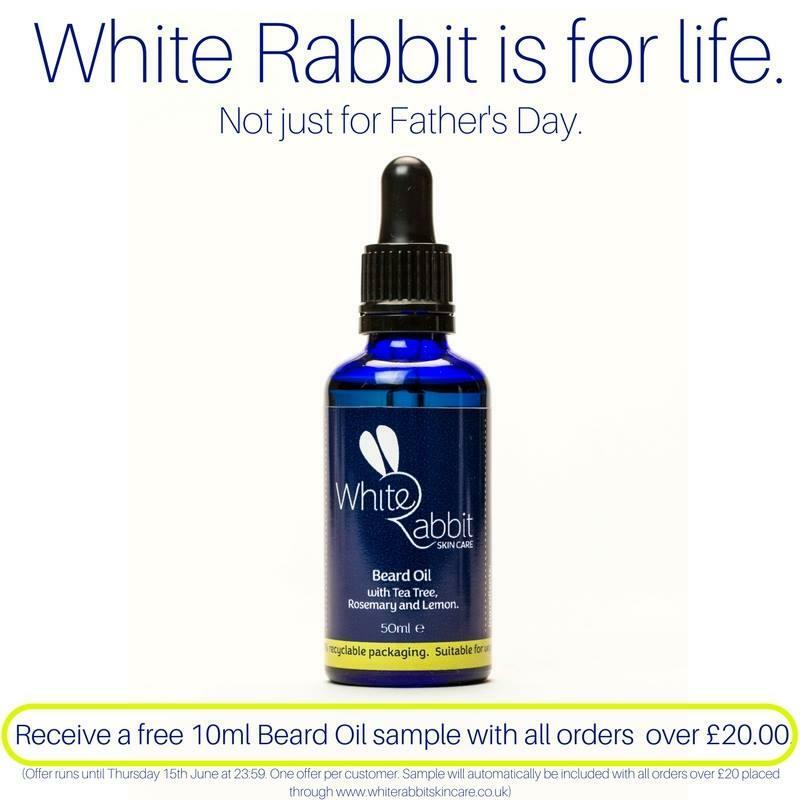 Until the 15th June as well, you can receive a bottle of beard oil with all orders over £20.00, one per customer. This is usually worth £3.00. Very nice!